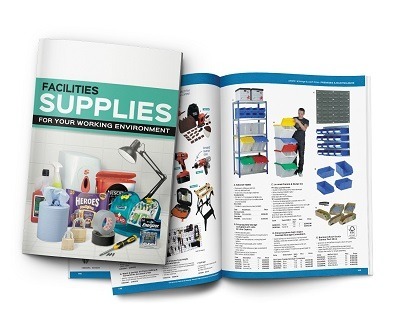 Spicers has launched an extended facilities supplies range following a complete review. The refreshed range includes 1,700 new lines and spans catering, janitorial and workwear products. Encompassing core products and market-leading innovations, this enhanced range gives dealers access to all the products and services they need to meet the full spectrum of customer requirements. In addition, Spicers has introduced exclusive support services to help dealers grow their facilities supplies sales. Spicers will continue to optimise the range based on ongoing feedback from its dealer community. The new range has been selected in response to market demand and to adhere with new health & safety guidelines. Many of the new lines have been added to satisfy growing demand for workwear and personal protective equipment (PPE). To this end, products from leading brands such as Magnum, Rockpool and Supertouch have been introduced. In addition, the catalogue features Spicers’ newly developed a 5* workwear range, which gives dealers access to a competitively priced range of quality garment essentials. Product Knowledge & Market Insight: To equip dealers’ sales people with the knowledge and skills to successfully sell these products, Spicers will run product training and conference events. Shoulder-to-shoulder Sales Support: Spicers’ specialist facilities supplies and workwear consultants will work alongside dealers on key opportunities. Support is available at every step in the sales cycle: Spicers’ consultants can accompany dealers on key customer visits, assist in product selection, and contribute to proposals and pitch presentations. Integrated Marketing Materials: The range is supported by a range of targeted marketing materials designed to raise awareness and grow sales. Developed by Spicers’ central marketing team, these span from traditional collateral such as mailers and brochures, through to targeted direct mail and email campaigns. Spicers will continuously review and update the range to reflect the demands of the marketplace. To this end, usage data and feedback from dealers on Spicers’ Alliance and Brilliant Partner programmes will be used to develop an even greater understanding of end users’ requirements and optimise the range accordingly.